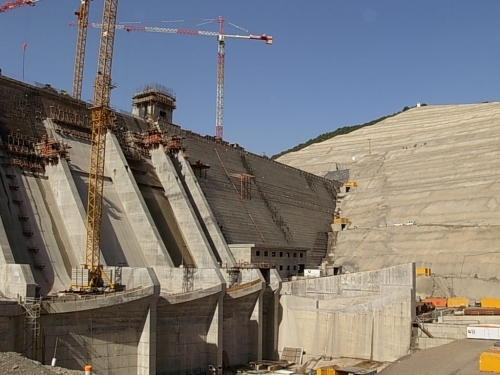 The construction of the Koudiat Acerdoune dam, with a capacity of 450 million m3, was allotted by the National Dam Agency to Razel Algeria. 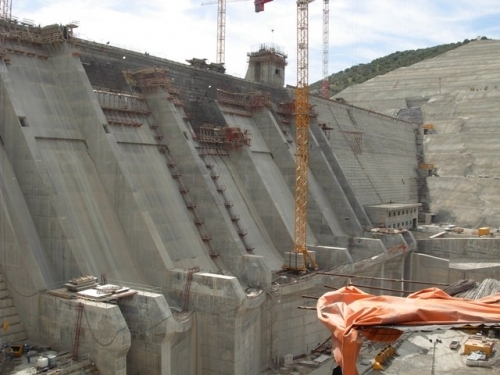 Made out of compacted concrete, the dam is supported by marly-shale soils. Monitor the temperature gradient inside the dam and use passive detection system to get the absolute temperature. A total of 4 independent lines were installed, from 400 m up to 2000 m. The sensing cables were directly embedded into the concrete.